Tucked away along a rural road just minutes south of Saskatoon, just follow the rainbow-coloured flags to find inner peace through meditation. 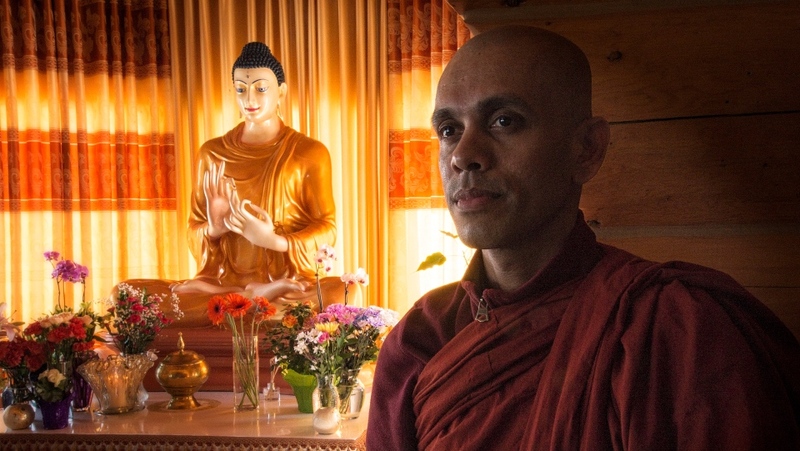 A log cabin is now home to Bhante, a Buddhist monk from Sri Lanka. Two years ago he started the Buddha Meditation Centre in Stonebridge, but for the last couple of months Bhante has been leading meditation classes and retreats at the converted home in Corman Park. On Saturday the centre held a daylong meditation retreat, inviting the public to come and shed some stress, anxiety and other mental challenges, an application of meditation Bhante said he didn’t realize until coming to Canada. “I didn’t experience this when I was in Sri Lanka. I helped people believe in Buddhism and then they would get married, believe in the reincarnation but these people (in Saskatoon) are different,” Bhante told CTV News. In Sri Lanka Bhante studied the teachings of Buddha alongside 1,000 monks. Bhante said his teacher wanted his students to share his teachings worldwide. “That was his amazing idea and that’s why we came here,” Bhante said. His meditation has also helped him conquer the bitter Prairie winter. Bhante said the Buddhist community is small but the meditation community is enormous. That’s why Bhante and the meditation centre hold weekly meditation classes at the University of Saskatchewan and Sunday sessions at the monastery. “We have a small community from Sri Lanka, they are not rich, they don’t have money but they know Buddhism is the perfect thing for the people suffering physical and mental issues,” Bhante said, adding all the meditation sessions are offered free of charge. As a family doctor in Saskatoon she sees meditation as a matter of learning different ways to approach illness and she’s doing her part to learn as much as she can to help her patients. “I think it’s important that we practice meditation, we practice the tools one needs to engage in work, in life. Those are principles I adhere to in life that he mentioned today.